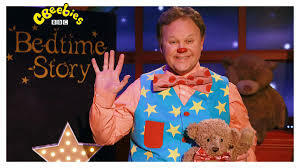 To celebrate #WDSD19, the Cbeebies Bedtime Story slot featured another Makaton signed story – but this time by none other than Mr Tumble! The story is called ‘Susan Laughs’ which is written by Jeanne Willis and illustrated by Tony Ross. The beauty of this story is in the simple vocabulary with colourful, engaging illustrations. These describe how Susan laughs, Susan sings, Susan flies, Susan swings …..Susan’s good, Susan’s bad, Susan’s happy, Susan’s sad and so on. The story provides brilliant way to cover lots of rhyming vocabulary and opposites vocabulary whilst enjoying Susan’s various and hilarious capers. The story lends itself perfectly to signing with Makaton. But what is particularly brilliant is the twist at the end which shows the reader that Susan is no different from any other child. Ideal as a way to promote understanding and inclusion amongst children. Watch and see what we mean! This book won the NASEN Special Education Needs Book Award.